What are you growing in there? Oh, it's your favorite herb blend, I see. For smoking, right? That's what I thought. Thanks, Rachel. To me this reads like an inappropriately posted personal memo. See it has a term of endearment 'my little "herb pot" ' followed by a piece of cordial advice 'store your favorite herb blend'. 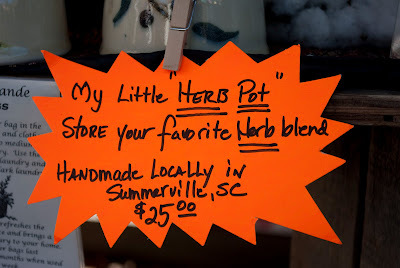 Obviously South Carolina is not one of the states with 'medicinal marijuana' statutes.